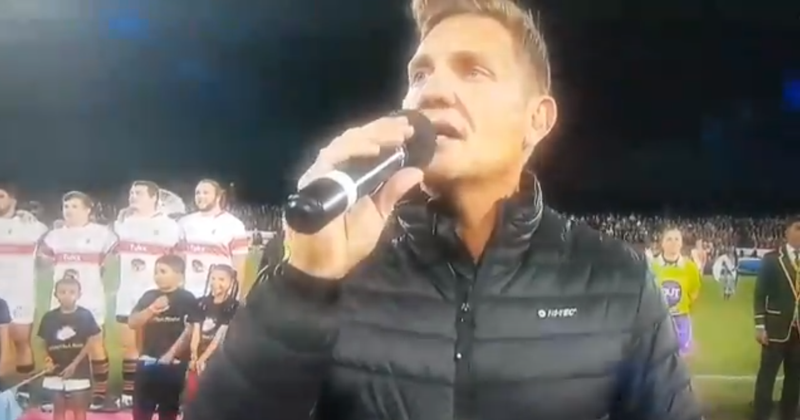 Afrikaans singer Kurt Darren’s rendition of the national anthem has left many on social media puzzled. Darren trended on social media on Monday evening after a video his rendition of the anthem at the FNB Varsity Cup went viral. The 49-year-old singer was asked to sing the iconic song ahead of the final. Maties and Tuks faced each other at the Danie Craven Stadium in Stellenbosch. Some on social media weren’t too fond of Darren’s rendition, dubbing it an insult while others urged him to memorise the words of the song. Kurt Darren ladies and gentlemen.